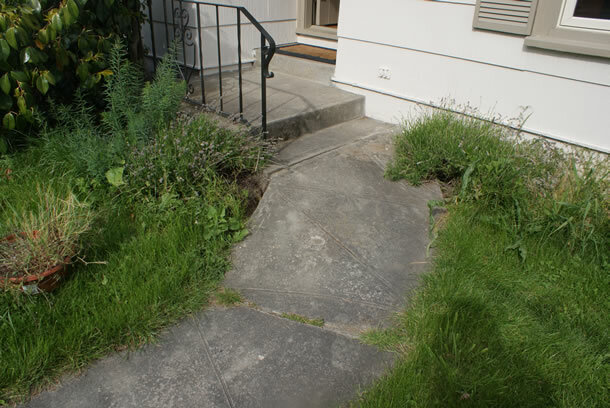 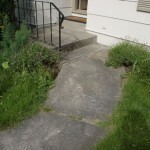 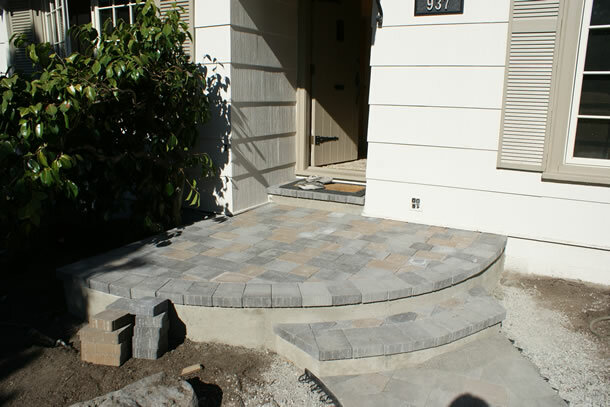 This front entrance in Victoria, BC became more welcoming when the railing was removed and area expanded. 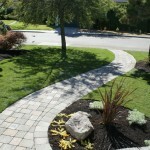 One advantage of concrete is that it can be poured in curves. 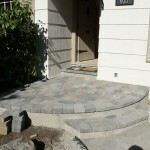 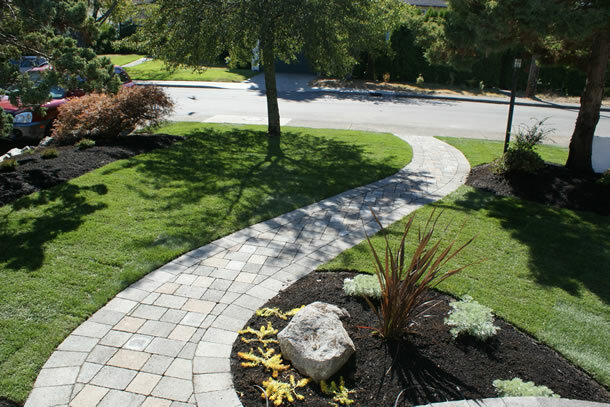 Pavers and a new sod lawn give the house curb appeal.